common ground : Be Inspired: #148 Need a little Inspiration? Be Inspired: #148 Need a little Inspiration? Evidently I have a "thing" for this color blue, since I realized that last week my feature was another fabulous blue piece of furniture... who knew? You'll want to check out this Farm Style Pantry Cabinet from Andrea at Town and Prairie. 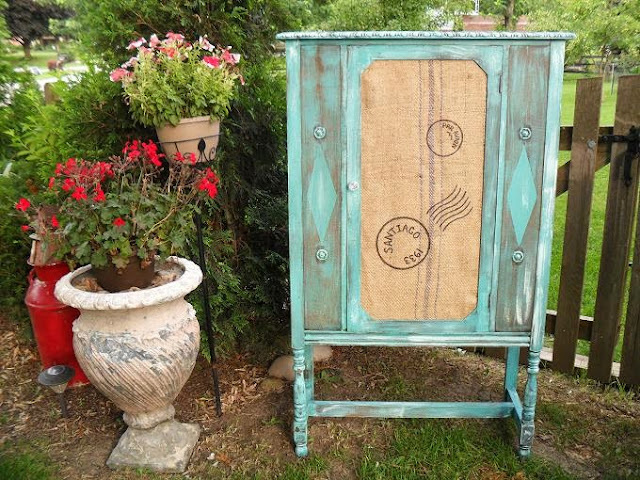 Andrea was having trouble coming up with a makeover plan for this old cabinet, but once she did, she gave it new life and a whopping personality. Love the grain sack on the door, great job Andrea!! that Marty from A Stroll Thru Life spray painted. Isn't this a beautiful vignette? with these gorgeous red geraniums in this raw wood crate. shares her Sweet Cottage Love Story and thoughts on her upcoming move. You might need a Kleenex. Are you like me and wilt in the Summer? I love a pretty chandy and light fixture as much as the next gal, but if I don't have air blowing on me, I just turn into a "hot mess" literally. Vickie from Ranger 911 came up with a great solution...the "Fandalier". 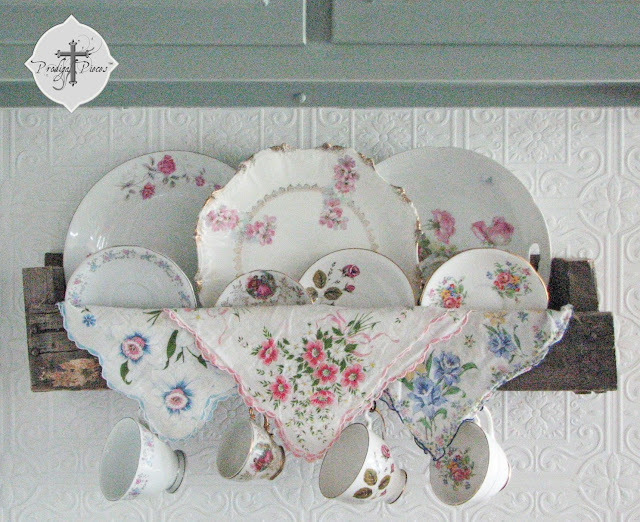 As always, she wows me with her amazing DIY ideas and projects. and her Facebook Page for new shop items and info. Thank you for hosting the party, Debra! Thanks so much Debra - have a great wknd! I also love that blue color, such a beautiful transformation! Thanks for the party Debra. Thanks for hosting Debra. 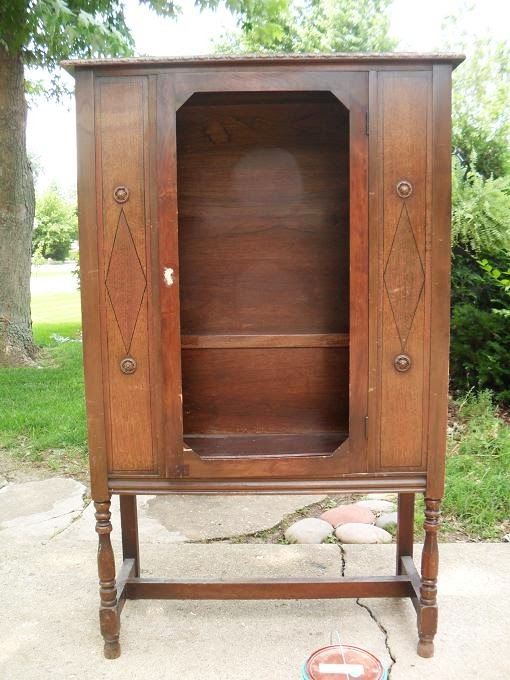 What a cute blue china cabinet. Wonderful features Debra! Thanks so much for hosting. I always always always find exactly that here; inspiration. I think that chandy fan is brilliant because no way on this hot earth is my hubs EVER going to let me lose all our ceiling fans, no way. will have to consider that, it's a cool (ha ha, pun intended) idea! Great features Debra! I love that fandy! So creative! Now I will be looking at light fixtures in a new way! Thank you for hosting! You're right! Those were some fabulous, not-to-be missed features!! Hope your week has been Extraordinary, Debra!! 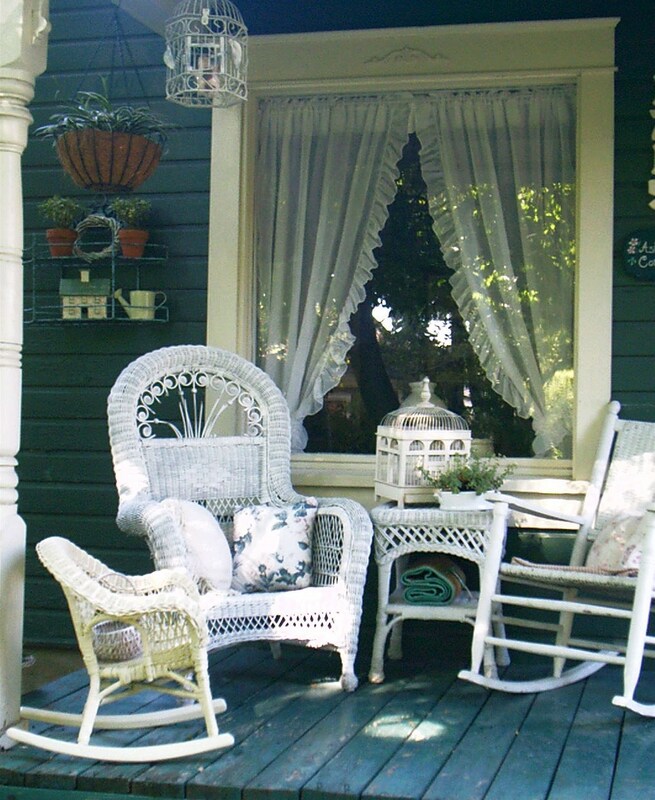 What charming porches, both so pretty! Thanks for hosting! Love the blue cabinet - what a transformation... so much inspiration here hard to choose my favorite... thanks for hosting.. I'm happily inspired this week and linking up with my new [old] chaise lounge - thanks for hosting! Love this weeks features Debra! Andrea cupboard, the fan light, and that pallet shelf, WOW! Thanks for hosting. Oh WOW!! 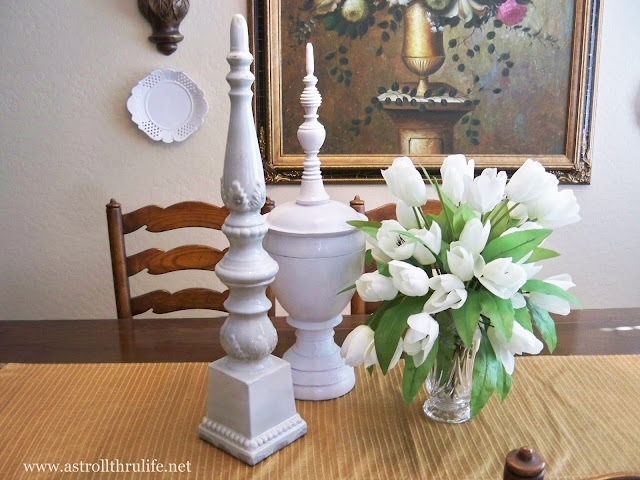 Love the cabinet makeover!!!! Hi Debra! Thanks so much for featuring my post from last week. I am back again, but I promise ~ no Kleenex needed for this one. Wonderful party and you are a great hostess. Debra, amazing features! Thanks for hosting a great link party! Debra, love all the wonderful features! 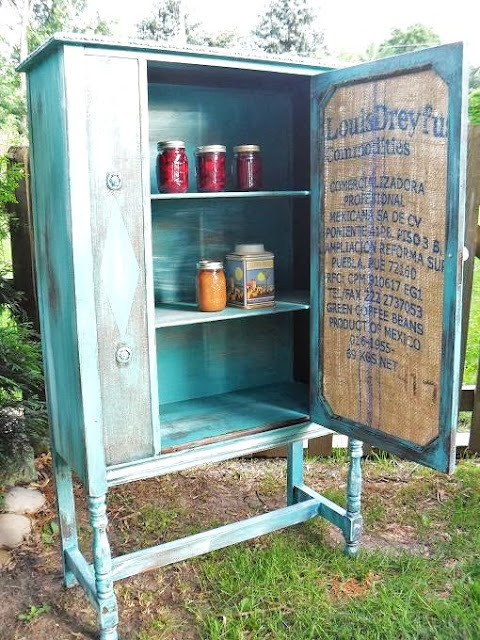 The cabinet makeover is awesome! Thanks for hosting another great party! Hi Debra, thank you for this wonderful party, the features all look so inspiring, especially that clock! I must try that. 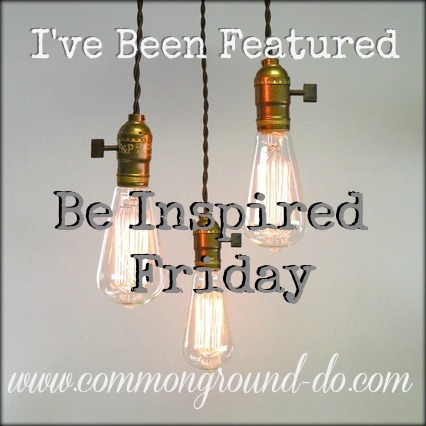 I always come away with inspiration from your Blog, Common Ground, and especially from Be Inspired Friday!!! 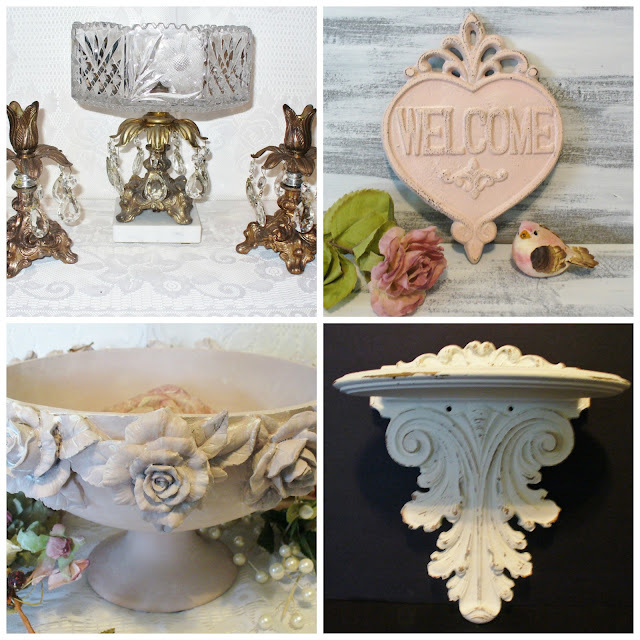 Of course, my favorites are the blogs with a common love of all things vintage!!! Thank you, dear one, for hosting each week!!! Thanks for hosting!!!! Great features. Thanks so much for hosting, Debra!!! Dear Debra- always an honor to be featured on Common Ground. Thank you for thinking of me, and continuing to host each week! Hi Debra! I haven't been partying too much lately so it is fun to come over and here and join in! Thanks so much for hosting! I can always use a little Friday inspiration! Thanks for hosting! 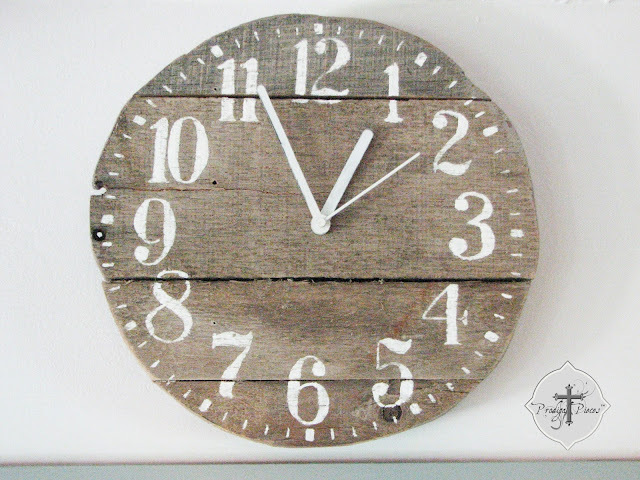 Thanks for hosting Debra, so many lovely bloggers sharing today. Love the features and the details. Have a great week. Thanks for the feature, Debra! Lots of inspiration again this week, too! Such wonderful posts and so full in inspiration! Debra, another beautiful Friday party! Thanks for hosting! I am definitely inspired! thanks for much for hosting us, debra! love the fandy:) have a great weekend! Hope you had a great 4th weekend last week, Debra. It's nice to see all the patriotic posts! Debra, sorry to be late with a comment. Life swept me away from my computer again. Ha! Hope you are enjoying a great weekend. Wish I lived close by to take advantage of that awesome window. Not sure where I would use it, but it's a fantastic piece.